When Benjamin Franklin was a boy he was very fond of fishing; and many of his leisure hours were spent on the margin of the mill pond catching flounders, perch, and eels that came up thither with the tide. The place where Ben and his playmates did most of their fishing was a marshy spot on the outskirts of Boston. On the edge of the water there was a deep bed of clay, in which the boys were forced to stand while they caught their fish. “This is very uncomfortable,” said Ben Franklin one day to his comrades, while they were standing in the quagmire. On the dry land, not far from the quagmire, there were at that time a great many large stones that had been brought there to be used in building the foundation of a new house. Ben mounted upon the highest of these stones. “Boys,” said he, “I have thought of a plan. You know what a plague it is to have to stand in the quagmire yonder. See, I am bedaubed to the knees, and you are all in the same plight. It was agreed that they should all be on the spot that evening, and begin their grand public enterprise by moonlight. Accordingly, at the appointed time, the boys met and eagerly began to remove the stones. They worked like a colony of ants, sometimes two or three of them taking hold of one stone; and at last they had carried them all away, and built their little wharf. “Hurrah! hurrah! hurrah!” shouted his comrades, and all scampered off home and to bed, to dream of tomorrow’s sport. In the morning the masons came to begin their work. But what was their surprise to find the stones all gone! The master mason, looking carefully on the ground, saw the tracks of many little feet, some with shoes and some barefoot. Following these to the water side, he soon found what had become of the missing building stones. He was so angry that he at once went to make a complaint before the magistrate; and his Honor wrote an order to “take the bodies of Benjamin Franklin, and other evil-disposed persons,” who had stolen a heap of stones. If the owner of the stolen property had not been more merciful than the master mason, it might have gone hard with our friend Benjamin and his comrades. But, luckily for them, the gentleman had a respect for Ben’s father, and, moreover, was pleased with the spirit of the whole affair. He therefore let the culprits off easily. But the poor boys had to go through another trial, and receive sentence, and suffer punishment, too, from their own fathers. Many a rod was worn to the stump on that unlucky night. As for Ben, he was less afraid of a whipping than of his father’s reproof. And, indeed, his father was very much disturbed. 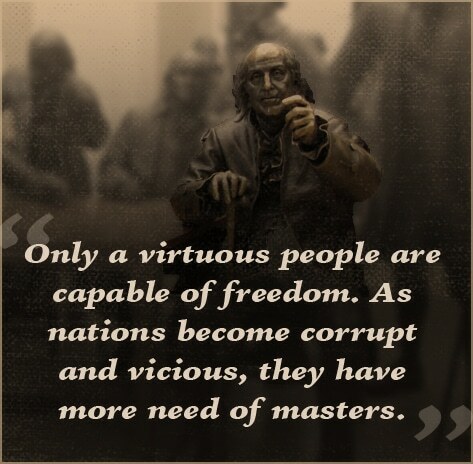 To the end of his life, Ben Franklin never forgot this conversation with his father; and we have reason to suppose, that, in most of his public and private career, he sought to act upon the principles which that good and wise man then taught him. Isaiah 5:20-21 — Woe to those who call evil good and good evil, who put darkness for light and light for darkness, who put bitter for sweet and sweet for bitter. Woe to those who are wise in their own eyes and clever in their own sight. Deuteronomy 5:19 — Do not steal. Do not lie. Do not deceive one another. Deuteronomy 5:16a — Honor your father and your mother, as the Lord your God has commanded you. Almighty God, rule our lives by your power that we may be truthful in thought and word and deed. May no fear or hope ever make us false in act or speech; cast out from us whatever makes or loves a lie, and bring us all into the perfect freedom of your truth, through Jesus Christ our Lord. Amen. From Your New Money Mindset, by Brad Hewitt and James Moline, 2015, Tyndale House Publishers. My Grandpa Colby was a young teen when he was summoned to a neighbor’s farm to help milk a less-than-cooperative cow. Apparently the farmer was off on a drinking binge and had abandoned the cow for days. She was miserably full of milk and unwilling to let anyone touch her. As Colby arrived at the barn and moved toward the unhappy cow, he must have sensed her tension. He talked to her as he approached and grabbed the milking stool. But when he knelt down to milk the cow, she lurched forward and kicked him in the leg, opening a deep gash. His torn flesh bled severely. There were no modern ambulances or helicopters to come to his rescue, so getting him to medical attention took precious time– lost time that allowed his young muscles to die from lack of blood. In the end, in order to save his life, his leg had to be amputated. Colby had ventured down the road toward a neighbor’s farm to perform an act of kindness, not realizing his life would change forever. As I grew up and more fully understood my Grandpa Colby, what struck me was that he wasn’t in the least consumed by his past. I never even heard him tell his story firsthand; I had to piece it together from family recollections. He never thought it necessary to tell me how he felt about losing his leg. The grandpa I grew to know could have been bitter about the drunken farmer, and the call to take responsibility for someone else’s animal. Yet he never complained about his bad fortune or the fact that the situation left him without a leg. Instead he stayed focused on the future and the abundance of good things he could do– like catch fish with his grand-kids and beat me at checkers! Having the use of two healthy legs is surely a “possession” many of us believe is necessary to enjoy a full, happy, and large life. This was especially true in the community where Grandpa Colby lived, where being able bodied was essential to earning a livelihood. But Grandpa Colby simply found a way, as many people do, of living well without the benefit of the full body he was given at birth. He finished school and became a successful banker and family man. He was at peace. He was content, regardless of circumstances. Philippians 3:13b-14 — Forgetting what is behind and straining toward what is ahead, I press on toward the goal to win the prize for which God has called me heavenward in Christ Jesus. Proverbs 23:18-19 — There is surely a future hope for you, and your hope will not be cut off. Listen, my son, and be wise, and set your heart on the right path. Ephesians 2:14 — Do everything without grumbling or arguing. Ephesians 4:31-32 — Get rid of all bitterness, rage and anger, brawling and slander, along with every form of malice. Romans 8:18 — I consider that our present sufferings are not worth comparing with the glory that will be revealed in us. Almighty God, Lord of the storm and of the calm, of day and night, of life and death; grant unto us so to have our hearts stayed upon your faithfulness and your love, so that whatever happens to us, however black the cloud or dark the night, with quiet faith we may trust in you and walk with you; abiding all storms and troubles of this mortal life, begging of you that they may turn to our souls’ true good. Amen. Ritchie is the student pastor at Lake Norman Baptist Church in Huntersville, North Carolina. He is a husband and father of two. I was born without arms. That is the best way to summarize my story. I stepped into suffering at birth. My physical body is a billboard for my pain. This has brought mocking, cruel jokes, stares, and the constant feeling that I am not like anyone else that I meet. I have never been able to hide. Many people can bury their pain, but my heartache is written all over my two empty sleeves. Those sleeves tell a story without my mouth ever saying a word. My pain almost swallowed me. But Christ showed me how much greater he was than my empty sleeves. I used to think that being born without arms was the most horrible thing that could happen to a person. Christ has helped me say that the worst and most painful thing that has ever happened to me is also the best thing that has ever happened to me. I am thankful for my pain. All of the frustration that has come with it has reaped a bounty that I never could have produced on my own. God stepped in and carried me along in my weakness, letting me taste his strength, grace, and love in new ways. Pain insists upon being attended to. God whispers to us in our pleasures, speaks in our conscience, but shouts in our pain: it is His megaphone to rouse a deaf world. We are most keenly aware of God’s character in our suffering. It is when our self-sufficiency is peeled away that we see how weak we really are. It is in that moment of weakness that, as God tells Paul in II Corinthians 12:9, “my power is made perfect in weakness.” It is in our pain that God has us taste his power most intimately. I see the reality of Lewis’s statement clearly in my own life. God has shouted to me through my pain and reminded me of his truth. As the mocking words of men fell on my heart like an avalanche, God showed me that it is only his words that bring life (Psalm 119:25). It was in my brokenness that I saw God’s true strength as he carried me along. God used my hurt so that he could clearly write the lessons of his grace on my heart and set my affections on him (Psalm 119:67). One of the most interesting realities of suffering is that our personal pain also speaks to those around us. Our pain becomes God’s megaphone to a watching world. The world gravitates to the cancer patient who has hope and peace. Bystanders are astounded over the parents who cling to their heavenly Father as they bury their own child. My friends are taken back when I can shrug off hateful words of my disability and turn my focus to what God says about me. Our pain gives us a platform. The question becomes then, what am I saying to the world in the midst of my pain? Do I let my faith become the product of my circumstances or is God still good even if my circumstances are not? As I trust God, even in my heartache, I let my life speak of a hope that extends well beyond what we can see or touch. We have the difficult call of I Peter 1:6-7 where we are commanded to rejoice when we are grieved by various trials. Why are we rejoicing? “So that the tested genuineness of your faith . . . may be found to result in praise and glory and honor at the revelation of Jesus Christ.” Our willingness to suffer joyfully for the glory of God carries a testimony that none of us could ever express. We point to a glorious God who offers treasure that neither moth nor rust can destroy (Matthew 6:19-20). Blessed be the God and Father of our Lord Jesus Christ, the Father of mercies and God of all comfort, who comforts us in all our affliction, so that we may be able to comfort those who are in any affliction, with the comfort with which we ourselves are comforted by God. For as we share abundantly in Christ’s sufferings, so through Christ we share abundantly in comfort too. If we are afflicted, it is for your comfort and salvation; and if we are comforted, it is for your comfort, which you experience when you patiently endure the same sufferings that we suffer. Christ comforts us so that we might share his comfort with a hurting world. His grace to us is meant to be displayed and not hidden by our silence. As our pain shouts to a hurting world, may our lives always sing of the fact that God is glorious even when our circumstances are not. (…continued) I realized that the key is in seeing our desires on two levels. There are day to day desires and needs, and there are eternal desires and needs. There are many concerns on the surface of life; and those are important and need to be tended to. But there are also those deeper concerns that are always there, no matter how good or bad things are on the surface. For example, I believe in Jesus as my Savior, and therefore I believe that even if were to I die today, I would be all right because the promises of Jesus are forever. There was a time, many years ago, I did not know what to believe about life and death, and I was looking for something to believe in. For many good reasons, I decided to believe in Jesus as the way and the truth and the life, so I am not looking anymore. I found in Jesus what is true and what I need. I have already looked at the other options and now, I’m all in with Jesus. On that level, I have found what I am looking for. However, on another level, I am still looking for many things. If a month ago right now you would have asked me if I had found everything I was looking for, I would have said “No!” because I was desperately looking for someone to fix my water heater at home. So, that led to some frustration, because I couldn’t find what I was looking for— on that other level. But one wrong move on the highway, and an ambulance ride to the intensive care unit of a hospital, and I would have forgotten all about that water heater. But I would still be holding on to and taking comfort in that deeper hope. We’re always going back and forth like that, between the smaller and larger concerns of life. I don’t know if Bono had any of that in mind when he wrote those lyrics, but the life of faith is always a challenge. The song is not only about spiritual seeking and finding, but it is also about the ongoing struggle of faith. I am reminded of that story in Mark chapter nine where a desperate father asks Jesus to heal his troubled son, saying to Jesus, “If you can do anything, help us.” Jesus replies, “What do you mean if? Everything is possible for one who believes.” And the man says, “Lord, I do believe; but help me overcome my unbelief.” Belief and unbelief are there, in the same person, at the same time. Isn’t that how it always is? And the U2 song brilliantly reflects the same struggle, describing a believer who is declaring his faith; but one who is still searching, still wondering, still trying to figure it out, and still looking for more– of something. Keep in mind those two levels of need. Deep down, those who believe in Jesus can indeed possess that ‘peace that passes all understanding.’ But on the surface, we still might be looking for more– a stronger faith, the strength to do the right thing, the ability to forgive someone at work, reconciliation with an estranged family member, a little peace and quiet once in a while, a day off, victory over temptation, a good report from the doctor, a visit from the son just down the street who hasn’t stopped in for weeks, or, a call back from the water heater repairman. There are many different things we are still ‘looking for’ and have not found. Now, of course, we have to be careful. We do have a tendency to want too much and expect too much on that surface level. There is no need to be always unhappy about the normal day to day frustrations. That’s life. And the desire for a more secure income can become endless and impossible to satisfy. And the quest for good health can become an obsession, and we are all, one day, going to die of something. And no two people are always on the same page, so a part of life is learning to live with the differences. And the Bible does say life is a test, and in this world you will have trouble, and God may not want to answer all your prayers and take away all your afflictions, because it is by those afflictions that we grow stronger in our faith and are reminded of our need for God. So the Bible teaches us to be content, troubles and all. The Bible, in fact, teaches us how to live on both levels. 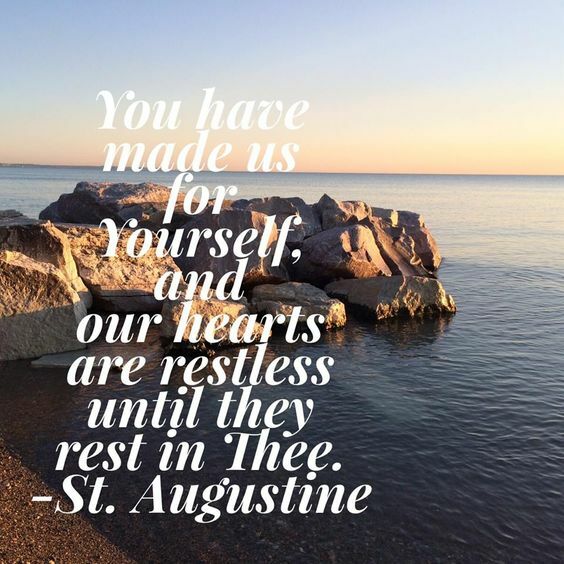 For those concerns on the surface, II Timothy says, “Godliness with contentment is great gain, for we brought nothing into the world and we can take nothing out. If you have food and clothing be content with that.” The Bible also warns us about wearing ourselves out seeking that which does not satisfy. The Bible has even more to say about our hope and confidence on that deeper level. Romans 14:8 says, “Whether we live or die we belong to the Lord.” Philippians 1:21 says, “To live is to be in Christ, and then to die is gain.” The 23rd Psalm says, “Even though I walk through the valley of the shadow of death, I will fear no evil, for Thou are with me… and I will dwell in the house of the Lord forever.” Everything, even life itself, can be taken away, and we are still all right. Last Fall several of us gathered here for a few Thursday evenings to learn about Christians who are being persecuted for their faith, especially in the Middle-East. You have seen these people on the news; Christians being targeted for their faith, driven from their homes, or killed by radical Muslim fanatics. In the class we read a book and watched several video segments about these people. We were amazed by the faith, persistence, forgiveness, strength, and joy of these people. On the surface, they were lacking everything. If you would have asked them what they were looking for, they could have told you they were looking for peace, safety, a way to feed their families that day, a place to sleep that night, a chance to go home again, and many were looking for missing loved ones. They had lost so much. And yet, deep down they were all right. They were smiling and thanking God for the hope they had within them, for whatever meager blessings they did receive each day, and for the love of and presence of Jesus. Deep down, they indeed had that ‘peace that passes all understanding.’ They were joyful because they still had what was most important. They had Jesus and his promise of that place where there would be no more danger, no more grief, no more death or sadness or pain, anymore, for Jesus has said that he would make all things new. Right! The Bible says we were made for God and his home. That is what we are looking for most of all. By Fred Craddock, Craddock Stories, pages 126-127 (adapted). “No.” I looked back over behind me, and leaning against the wall was a young man. That hillbilly is smart. He knows what God expects of him as a father. Proverbs 22:6 — Train up a child in the way he should go: and when he is old, he will not depart from it. Psalm 78:5-7 — (The Lord) decreed statutes for Jacob and established the law in Israel, which he commanded our ancestors to teach their children, so the next generation would know them, even the children yet to be born, and they in turn would tell their children. Then they would put their trust in God and would not forget his deeds but would keep his commands. Deuteronomy 4:9 — Be careful, and watch yourselves closely so that you do not forget the things your eyes have seen or let them fade from your heart as long as you live. Teach them to your children and to their children after them. We thank Thee, O God our Father, for giving us this child to bring up for Thee. Help us as true disciples to set her a good example in all we think or say or do. Keep her well in body and mind, and grant that she may grow in grace and in the knowledge of Thy Son, our Savior, Jesus Christ. Amen. And those old people just nodded– “That’s right, that’s right.” She never mentioned elderly people, but they perceived; they got it. And it was marvelous. –Preaching Professor Fred Craddock, Craddock Stories, page 148. We commit to your care, O Lord, those who are old and full of years, and can no longer bear the burden and heat of the day. Grant them to have so trusted and learned of you in years which are gone, that in the loss of their daily work and the world they have long known, they shall not have lost you. Give them light at evening time, and the assurance that, by serene example, they may also serve who only stand and wait; through Jesus Christ our Lord. Amen. You don’t have to be an expert in English history to be familiar with the main accomplishment of a certain King James. You probably have a book whose production was authorized by this King– the King James Version of the Bible, first published in 1611. This may not be the version you read anymore. It isn’t the one I usually use. But for three and a half centuries this was the only translation used by nearly everyone in the English speaking world. Today, there are hundreds of English translations; but for a long time, there was only one. 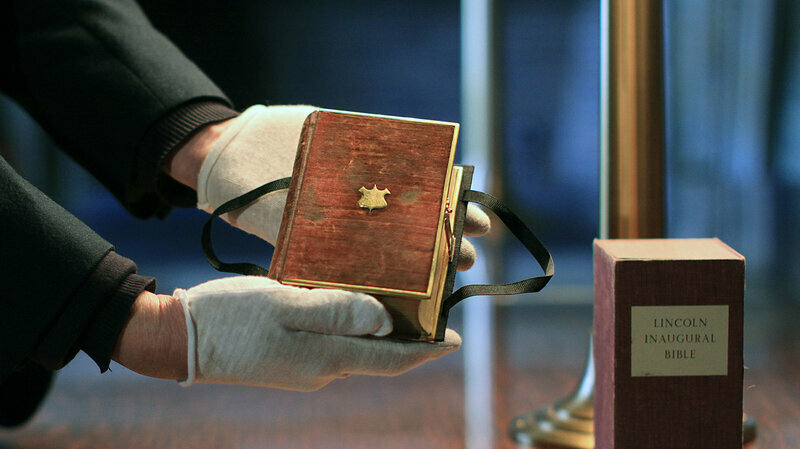 One hundred years before King James, there was no Bible in English. Bibles in England, and everywhere, were read only by scholars in the original Hebrew or Greek, or, Jerome’s Latin translation from the fifth century. It was thought to be dangerous for the common person to be able to read the Bible, so for many years and in many places, translating the Bible into the language of the people was a crime punishable by death. One of the first and most important projects of all the Reformers was to do such a translation. In the 1520’s, while in hiding from the authorities who wanted to kill him, Martin Luther translated the entire Bible into German. At that same time, in England, William Tyndale was working on the first translation of the Bible into English. He completed it only by successfully eluding the authorities who were always after him; and continued, for the rest of his short life, to be on the run or in hiding. He was captured at the age of 42 and executed, but his translation had already become very popular with the common people. Despite the threat of death to anyone who would print, transport, or sell those Bibles, everyone wanted one. Tyndale once told a priest that if his translation was successful, the common plow boy would soon know more about the Bible than the priests. 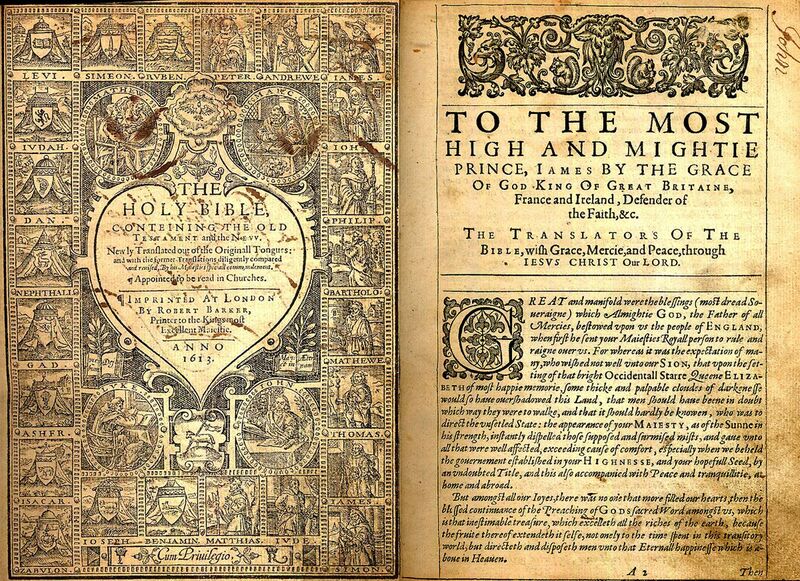 When Tyndale was executed in 1536, his final words were a prayer: “Lord, open the King of England’s eyes.” His prayer was answered the very next year when the king lifted the ban on English translations of the Bible. This new freedom led to a new and very different problem. Now, everyone wanted to sell English Bibles in a business that had gone from being life-threatening to extremely profitable. In the next sixty years, 130 different translations were produced, most of them hastily done and quite inaccurate. The common people, unable to judge between translations, bought many bad ones, resulting in much confusion. In 1603 James became King. Not many people thought very highly of James. He was arrogant, selfish, drank too much, and was eager to use his new authority primarily to serve himself. He believed strongly in the divine right of Kings, not because he was so interest in the ‘divine’ part, but because he knew that would give him the most power. There were many Puritans in England at this time. These people were serious about their Christian faith, and sought to separate themselves from the cold and hypocritical state church. The ‘official’ church opposed their every move. King James didn’t like the Puritans either, because they had little time for any kind of earthly authority; not of bishops or kings. God was their king, so they granted little authority or loyalty to James. The Puritans went to the king early in his reign with certain requests for freedoms from the Anglican Church of England. The Anglican bishops opposed this, and told the king that they would adopt his ‘divine right of kings’ business if he would come down hard on Puritans. So, King James went into the negotiations with the Puritans with the intent of granting them nothing. But one of the Puritans’ requests intrigued the king. For the sake of the truth and integrity of Scripture, the Puritans asked that a new and official translation of the Bible be made, done by all the best scholars, as accurate and true to the original language as possible. James was not interested in the truth and accuracy of Scripture, but he had his own reasons for not liking all those other translations. Not only were they carelessly done, but many came with notes to explain things to the common people who were reading these things for the first time. And oftentimes, the king did not approve of these notes. He was particularly irritated by explanations like the one attached to Exodus 1:17, a verse which says: “But the midwives feared God and did not do as the King of Egypt commanded them, but allowed the baby boys to live.” The notes attached to this verse pointed out that the midwives did the right thing by NOT obeying the king, and that Christians do not always have to obey their king either, because sometimes kings do and require things that are contrary to God’s Word. This did not sit well with King James was pushing for the ‘divine right of kings,’ which meant that if the king said it, it was the SAME as if God Himself said it. So James did not like all the meddlesome side notes in these new translations. It would be far better for the people to not understand anything. King James celebrated the beginning of the project with a huge banquet and much feasting, drinking, and dancing, along with dog and bull fighting for entertainment. This offended the Puritans, but they would get their translation. James was then wise enough to stay out of the way and let the project proceed with integrity and skill. Fifty-four top translators were employed to do the work. They were divided up into six groups of nine, each working on a section of the Bible. The complete texts were then reviewed by still more scholars. The first edition came off the presses in 1611. It was an immediate and long-lasting success. The result was an excellent translation, not only for its accuracy (for its time), but also for its majestic language. There were no significant challengers for over 300 years. Only when the New International Version was published in the 1980’s did another translation begin to sell more copies. Psalm 119:105 — Thy word is a lamp unto my feet, and a light unto my path. II Timothy 3:16-17 — All Scripture is God-breathed and is useful for teaching, rebuking, correcting and training in righteousness, so that the servant of God may be thoroughly equipped for every good work. Almighty, everlasting God, heavenly Father, whose Word is a lamp to our feet and a light to our way: Open and enlighten my mind that I may understand your Word purely, clearly, devoutly, and then, having understood it aright, fashion my life in accord with it, in order that I may never displease you; through Jesus Christ, thy Son, our dear Lord. Amen. (…continued) After Jesus helped me overcome my depression and addiction, my dreams for my life changed. I wanted more than MMA fame; I wanted to serve God however I could. I started volunteering at local ministries and prisons, sharing my story with anyone who would listen. I also knew I needed a break from MMA (Mixed Martial Arts fighting). Even though I still loved the sport, the temptations were too great. But without fighting, I didn’t know what to do with my life. In desperation, I prayed: God, I’m yours. Is there anything you want me to do? I desire to do your will, not mine. That’s when a strange vision flooded my head. I watched myself weaving through the jungle. Among the forest’s white noise, I heard the faint sound of lively music, unlike anything I’d heard before. As I stepped into a clearing, I saw 150 people, living in a cluster of twig-and-leaf huts. I took a step forward, and the vision changed. I was bombarded by flash-fast images of malnourished children and starving old men. I saw a man dying from a disease eating him alive. For some reason, I could tell these people were oppressed and outcasts. I sobbed so uncontrollably that I left a puddle of tears on my Bible. I wondered if I was crazy, but I knew I couldn’t have imagined what I saw on my own. I didn’t know who these people were, but I knew I had to help them. Turning suddenly to Isaiah 58, my eyes locked onto verses 6–12 (see below), about God’s heart for the poor and oppressed. The passage started a fire in my heart. I shared my vision with my mentor, Caleb, and he immediately knew I was describing a Mbuti (or Pygmy) tribe in the Congo. He told me he was leading a group there in a month with his high-risk missions ministry, Unusual Soldiers, and he encouraged me to go with him. Our goal on this trip would be to find the most remote Mbuti villages in the jungle, form relationships with them, and learn more about their needs. I saw firsthand that circumstances there were graver than I had seen in my vision. And after several months back home, I still could not shake my burden. Caleb connected me with Shalom University, a Congolese Christian school dedicated to serving the Pygmies. I knew I couldn’t help them unless I understood them first, so I lived with them for a year. I slept in a twig-and-leaf hut, ate their food, and suffered from the same diseases. One bout with malaria nearly killed me. But no matter how tough things got, I felt more at home than I ever had in the gym. Recently, after a five-year hiatus, I returned to the MMA cage with the goal of raising money for Fight for the Forgotten, the organization I founded to help serve the Pygmies. The drive to fight is still there, but I’m no longer fighting my inner demons. I’m fighting to fulfill God’s call on my life. O Lord, our Savior, you have said that you will require much of those to whom much is given. Grant that we who have been so richly blessed may strive together to extend to others what we so richly enjoy, to the fulfillment of your holy will and the everlasting salvation of all; through Jesus Christ our Lord. Amen.